Q. Why do i need antifreeze in the boiler? A. The ALDE heating system relies on Glycol (Anti Freeze) to function correctly and just like the coolant in your car, if it’s not changed periodically, serious problems can occur. The following information will help you to keep check on your heating system. Q.How much hot water does the system produce? 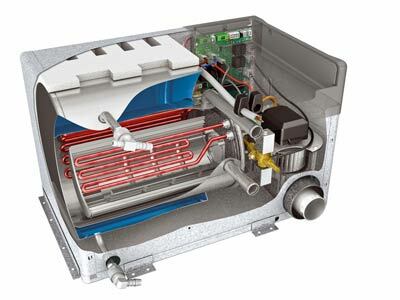 A.The Alde Compact boilers uses a store of 8.4 litres of hot water at >50 °C. When mixed at the fixture to a usable 38 °C, this amounts to ≈12 litres of heated water every 30 mins. Cold water <10 °C will take longer to heat. The Hot Water Boost function—the tap icon on the digital control panel—cuts out the central heating for 30 mins while another 8.4 litres of hot water is heated to >65 °C. This amounts to ≈15 litres of heated water, mixed. Assuming an average flow rate of 3 litres per minute, this gives ≈5 minutes of continuous heated water for showers. Q.How quickly should the living space warm up? A. Varies greatly, depending on the interior and exterior temperature, the design of the heating circuit and insulation of the living space. How much power the boiler has available has an effect, from 1 kW to 8.7 kW. Generally the living space will reach room temperatures within the hour, similar to the warm up time in a household central heating system. Q. How do I get the best performance from the system in my vehicle? A. Ensure the heating circuit is bled of air (it should be correctly filled using a genuine Alde 1900-811 service pump). Ensure that vents in the furniture are not blocked. Use the maximum power electric heating and gas heating (propane only). Take showers after the central heating has brought the living space up to temperature. Don’t allow the temperature in the living space to drop below 10°C if out for the day/night. Q. Do I need to winterise my system? A. Yes. Unless your vehicle is explicitly stated to be self-winterising, even if the central heating is left at 5°C over winter there may be chinks in the fresh water system that are insufficiently heated to prevent the freezing. Q. Can I operate my central heating while the fresh water is drained down? A. Yes, you can operate the system as normal, even with fresh water drained down. Q. How often should the coolant be changed? A. Generally speaking, if the antifreeze colour in the expansion tank is BLUE then this should be changed every two years. If it’s a PINK or PURPLE colour then every five years but this is just a rough guide. Q. How do I know if/when my coolant has been changed at the correct time intervals? A. Unfortunately, This is not a standard service routine, hopefully your workshop would have advised you before, during or after the service that it is required and an extra charge would have been made. However, we do check your levels at the service & advice accordingly. If in doubt, replace the antifreeze fluid at the earliest point. Q. I have a new caravan so when should the coolant be changed? A. UK caravan manufacturers currently supply a 2 year coolant to their tourers so if you purchased your caravan in January 2017 or before then a coolant change is due now or over due if a long time before. Q. Will I have to do this every 2 years? A. That depends on your workshop and the refreshed antifreeze that they use. We will always replace used coolant with a product that will give your system 5 year protection from corrosion so once done you have no need to worry. This also is a good selling point if you sell or upgrade your caravan. Q. What will happen if I don’t have the coolant replaced? A. If the two year / five year period has elapsed, the heating system will start to corrode from within. Pipes become at risk of splitting or begin to de-grade. Pump performance will be effected and in extreme circumstances a boiler tank or heating element failure may occur and can only be remedied by completely replacing those items. Q. How can I check my system levels? A. Have a visual check on the expansion tank Some times you can see the colour if not it may require you to unscrew cap. The antifreeze level should be 1 cm above the minimum mark when cold this allows expansion of the antifreeze but not to overflow. Q. What fluid do I need top up? NOT compatible with each other, but VAG G12++ and G13 spec antifreeze (magenta) is compatible with both. If unsure, please contact us for further information before you do anything. we offer a full fluid change with the Alde recommended 5 year G13 specification for only £199 this also includes a 1 litre bottle for topping up. 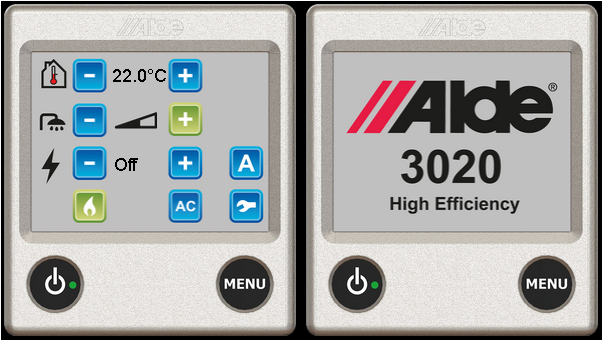 For users with an older control panel for Alde Compact 3010, they can now update to the latest model, 3010 613. 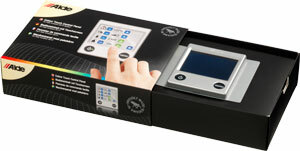 An installation frame is included for those customers who upgrade from the older LCD panel 3010 213. For those upgrading from the black and white control panel 3010 413, only the vertical installation dimension of 10 mm needs adjusting. A new manual and installation instructions are included.